Thank you for your support! Eighty people ran or walked down the streets of Montague on a sunny morning. Thanks for your help in raising money to restore the brickwork on the old church! We ran or walked down Montague's scenic Old Channel Trail, past historic homes and scenic White Lake. 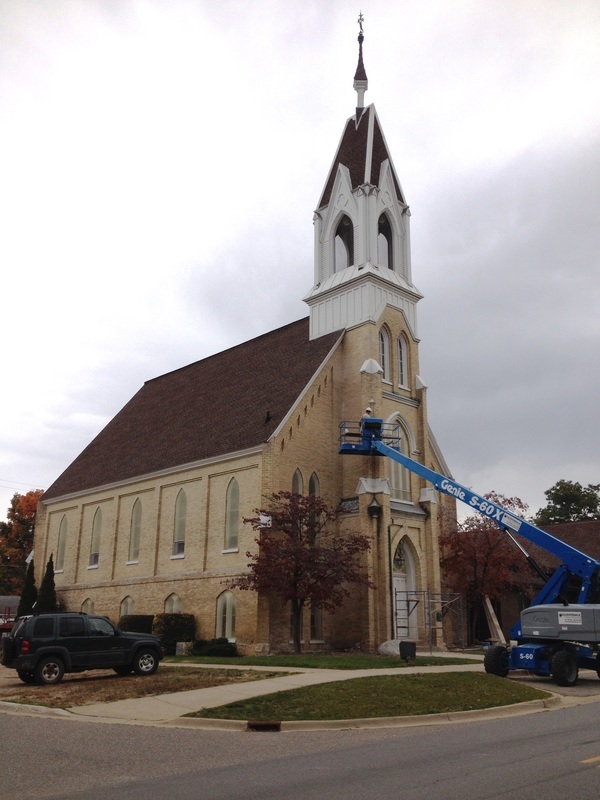 Funds raised will go toward the repair of the iconic old church building, built in 1874. The church steeple is a landmark in Montague, and can be seen from the causeway bridge to Whitehall. Thirteen years ago our community generously supported the repair of our church steeple and roof through a "People for the Steeple" campaign. This year, we again invited our community to contribute to the brick repair of the historic church (which supports the steeple) through a "People for the Steeple" 5K Run/Walk. brick restoration has been completed!